MMR vaccine uptake rates are declining in many countries. The reason is not clear. Rates dipped in the 1990s following publication of a report linking MMR to autism, but partly recovered after that research was discredited and disproved. However, the volume of anti-vaccine sentiment on social media has been swelling in recent years, sparking concern that it is having a negative impact. Measles is highly infectious and can cause serious health complications, including damaging the lungs and brain. 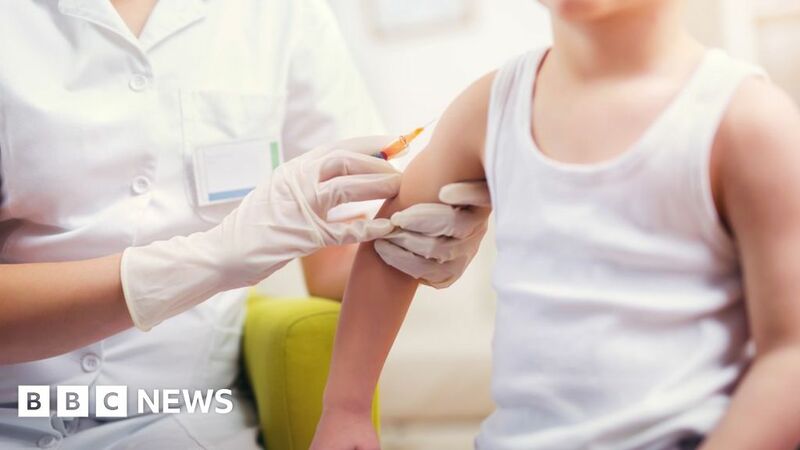 Health chiefs in Greater Manchester reported a sharp increase in measles cases between January and March 2019, the majority in unvaccinated children. In England, the proportion of children receiving both doses of the MMR jab by their fifth birthday has fallen over the last four years to 87.2%. This is below the 95% said to provide “herd immunity”, the level considered by experts to protect a population from a disease. Prof Dame Sally Davies, England’s chief medical officer, believes anti-vaccination campaigns are damaging and should be vigorously resisted: “I don’t like it that bad science is pushed to parents – I don’t like quackery – I want them to know the truth that vaccines are very safe that have been used for decades”. Jo Walton was sceptical about vaccinations when her daughter Sarah was due to receive her first jab. But Sarah contracted measles before the date of the injection. The family thought no more of it until Sarah was 24 and was diagnosed with a degenerative neurological condition directly linked to the earlier measles infection. But, faced with a barrage of claims and counter-claims on social media, its not surprising that some parents are confused. The question is whether health experts should try to win them over by striving to win that battle rather than setting out to remove material deemed to be damaging and inaccurate. Dr Fiona Godlee, editor of the British Medical Journal, argues that there is a danger with what may be perceived as censorship and, she says, the focus should be on winning hearts and minds. “What you have is a spectrum of people, some for whom its an obvious thing to get their child vaccinated, others at the other end who will never be convinced, and, in the middle, perfectly intelligent, sensible people who are not certain what do and its that group of people we need to treat with respect and provide them with information. “Social media can be both a positive and a negative thing in that. Clumsy-handed censorship I don’t think is the way forward,” she said. As the chief medical officer put it, the UK’s health system is not an island when it comes to the spread of viruses. Social media and infectious diseases are global phenomena. No wonder the World Health Organisation has declared the anti-vaccine movement to be one of the top global health threats for 2019.